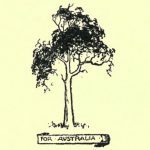 There are few periods in history more entrancing, from the sociological point of view, than the early days of Australia. They are near enough to be linked by four or five generations to our own time, yet far away enough to have gathered around them the glamor of romance. And they show us the beginnings of a new nation. We see the civilisation of the Old World transplanted to a virgin soil. We see the genesis, in a strangely incongruous environment, of social and political institutions which were old and even moss-grown a thousand years ago. 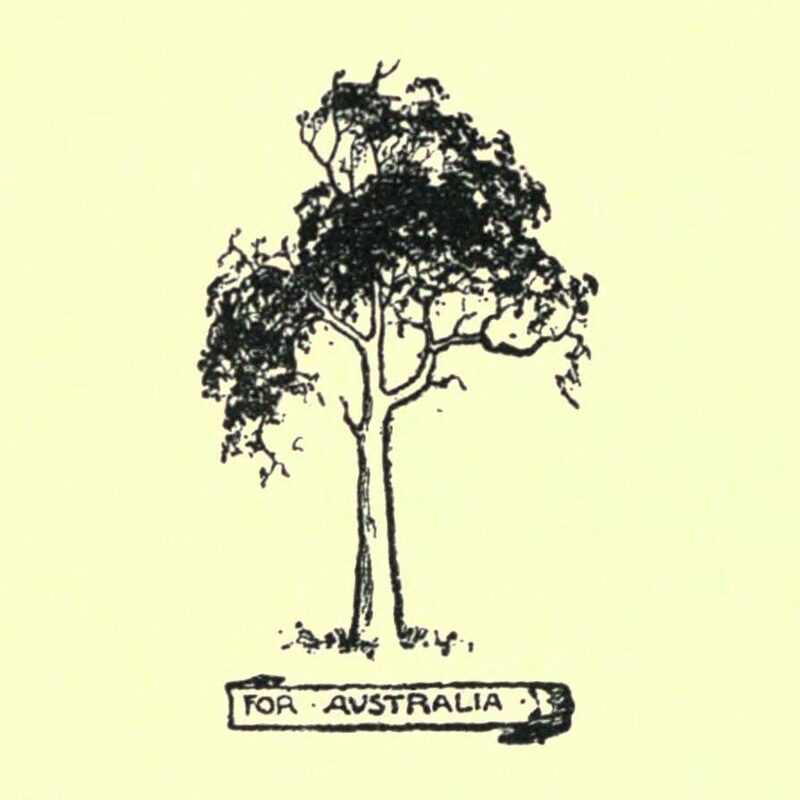 That alone would make this latest book by Mr. Justice Evatt an absorbing work, for the story he has to tell brings the colony of New South Wales, at the commencement of the nineteenth century, with remarkable vividness before us. Here is unfolded to our view enthralling scenes from the opening of that amazing and continuous drama we know as the history of Australia. The mere mention of those two famous men at once arouses our expectant curiosity. Many volumes have been written about their quarrel, and the series of sensational events arising out of it. What fresh light can this author have to shed upon it? Numerous investigators have dealt with the affair, in all its ramifications, and delivered their judgments upon it. Is there anything new to be said on the subject that can modify or reverse in any important respect what has been said already with all the emphasis of authority? Mr. Justice Evatt does not leave us long in doubt. He tells us in no uncertain terms that history as it is generally written has grossly libelled Bligh, and he proceeds with the masterly thoroughness of a trained legal mind to prove his allegation, to the confusion, one would imagine, of those who heretofore have championed Macarthur. The economic basis of the struggle between Bligh and his military opponents is made clearly apparent. The officers of the New South Wales Corps, who ruled the colony after Phillip left, had established a monopoly in the sale of spirits. This monopoly they utilised in the most unscrupulous fashion. Rum was the curse of the colony. A large portion of the community was completely debauched by it. They paid exorbitant prices for it, mortgaged their property to obtain it, and in all too many instances became the slaves of the gold-braided monopolists, toiling for their enrichment under the most demoralising conditions. The military swaggered about the landscape in their gaudy uniforms, giving themselves the airs of gallant warriors, ready at any moment, if necessary, to sacrifice their lives for the safeguarding of the population, while all the time they were the mercenary purveyors of a particularly pernicious dope, bending their utmost efforts upon getting rich quick by this means. Of these militaristic hucksterers, these sword-rattling rum racketeers, Captain John Macarthur was an acknowledged leader. He had a great deal more ability than most of the officers of the New South Wales Corps, his courage carried him to the very limit of audacity, and such was his sense of self-righteousness that in the attainment of any object on which he had set his mind he was incommoded by no scruples. When Bligh was sent from England to put an end to the rum traffic, and rescue the settlers from its degrading effects, he was immediately marked down by Macarthur and those behind him as their natural enemy. He must be got rid of, as Governors Hunter and King had been. Let any man who attempted to break the power of the military dictatorship which had been set up look well to himself, for the most vicious measures would be devised to overwhelm him and to sweep him out of the way. In the year 1806, in the Colony of New South Wales, militaristic arrogance and ruthless exploitation were united in one despotic junta. And along came Bligh, with no armed force at his command, to wage war upon this monstrous combination of evils! Such being the position, who can be surprised at the events that followed? Trouble began almost, at once. Bligh was a strict disciplinarian, and he took his job seriously. Very soon he began to indicate that the officers were not to be allowed to maintain their stranglehold upon the community. A case of flagrant extortion by Macarthur, of which a Hawkesbury settler was the victim, came into the Civil Court, which, decided in the settler’s favor. Macarthur thereupon appealed to Bligh, who, sitting as a Court of Civil Appeals, promptly pronounced against him. There can be no doubt that the military racketeers, realising that Bligh was going to be an implacable obstacle in their path, had determined to lose no time in undermining his authority and pulling him down. Other clashes soon occurred, and the inhabitants of the colony were presently watching with intense feeling a struggle for supremacy between the two men, each animated by a will so resolute that only the inexorable force of circumstances could overcome it. Bligh had made up his mind to use every effort to protect the settlers from the exploitation and fraudulent practices of the officers. The settlers knew this, and were strongly on his side. On January 1, 1808, over eight hundred of them signed an address thanking him for having greatly improved their lot, and assuring him that they would always regard themselves as bound, “at the risque of our lives and properties,” to protect his government. When the time was deemed opportune, however, and the officers proceeded to the extremity of arresting the Governor, they moved so swiftly that the settlers who had pledged allegiance to him were unable to render him any assistance. The author analyses with admirable lucidity the complex manoeuvres leading up to this dramatic episode, never losing the excitement of the story in his judicial notes and comments upon it, nor in his cold assessments of the conduct of the chief participants in the thrilling drama. The evidence, which he produces and dissects for our enlightenment, compels him to sum up strongly on the side of Bligh. It may be said, indeed, that he has given us a revaluation of the much-maligned Governor of New South Wales, and revealed him to us as a man so different from the traditional delineations of him that the whole aspect of that historical period is completely changed. He dismisses as a malicious falsehood the allegation that, when, the military rebels invaded Government House, Bligh hid under a bed, and was dragged forth ignominiously. He stresses the easily verifiable fact that Bligh’s whole career had shown him to be endowed with courage in a high degree. As a naval commander he had fought with distinction in many battles, and had been thanked by Nelson himself for his intrepid initiative in action. Whatever else Bligh may have been, he was certainly no coward. The character of the man, in many other respects, was grossly traduced by Macarthur and his followers, and their slanderous allegations have been passed down the years to us by writers who have carelessly accepted them without reference to the available evidence to the contrary. It’s an illuminating reflection that Capitalism came to Australia with a sword by its side. It made no attempt to disguise the fact that it ruled by brute force. The New South Wales Corps, with its officers carrying on trade and exploiting the community, was an epitome of the whole capitalist system. The officers made the laws, and administered them to their own advantage. They imposed their will upon the colony, and called it justice. They gave themselves a monopoly of the sale of intoxicating liquors, and constituted rum the medium of exchange. They deliberately fostered drunkenness in order to get the settlers into their power and defraud them of their lands. They enslaved labor, using the helpless convicts for this purpose, and profiting greatly by the compulsory service thus rendered. And as soon as their dictatorship was seriously imperilled they started an armed revolt, backing it up with a campaign of misrepresentation and slander, as we have seen the chieftains of Capitalism do in our own day. All this is brought out strongly in Mr. Justice Evatt’s book. And though he does not stress the capitalistic analogy, the facts are so logically set forth that the intelligent reader will himself discern it. On this ground alone the book has great value, for it goes to the very root of history, and shows us economic determinism in actual operation in the affairs of a community. “Rum Rebellion” is primarily a vindication of Governor Bligh in his conflict with the officers of the New South Wales Corps, and an exposure of the machinations of Macarthur and his uniformed bullies. But it is much more than that. Reading its pages, following the remarkable events so competently related therein, and noting the incisive comments upon them, we see before us, in these beginnings of our nation, a microcosm of the whole capitalist world as it was then and as it still remains to-day. This article is by Henry Ernest Boote (1865-1949).